interesting question, but I am not sure if I understand it at all. It took earliest Christians more than 400 years to somewhat agree on the nature of Jesus as Son of God. As it has been pointed out, the reason why the early church survived has little to do if they believed in resurrection but more with political factors – i.e. how successful the perfect Christian organization took over a failing and degenerating West Rom and became state religion of East Rome by Roman Emperor Constantine. 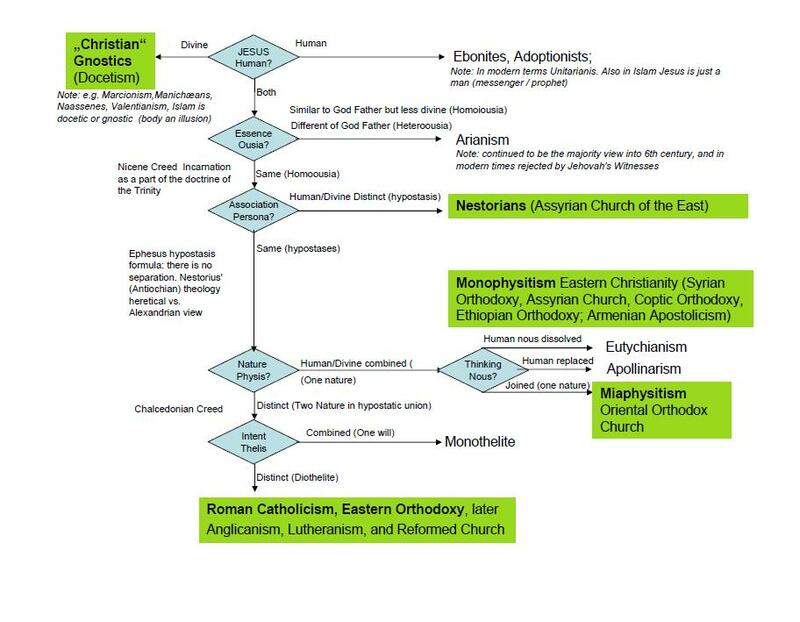 Even then, the remaining dissent (https://stottilien.files.wordpress.com/2012/05/christological_heresies_in_jesus_human_divine3.jpg) about Jesus’ nature supported the rise of Islam (for which Jesus is a minor prophet and do not believe in resurrection) as the Monophysites and others were more comfy being Dhmnis than Byzantine subjects. Some of my little knowledge I derived from the book “The lost history of Christianity – from Philip Jenkings. In regards to the quote Lucan (the physician in Antioch) authorship of the Acts is widely held, therefore it is useful to be examined in conjunction with the Gospel of Luke (my favorite Gospel anyway). Luke’s description of “Ascension of Christ” has a very important function in the Lucan work, told twice. The Gospel closes with the assumption of Christ and the Acts of the Apostles start with it. Behind this is a formulation of the early beliefs that Jesus was resurrected and raised to God. Which led to an interesting discussion. I politely disagree; the history of Rome (and the Catholic Church) tells exactly that story. Let me elaborate what I meant with the perfect Christian organization took over a failing and degenerating West Rom. This story of the Church’s success started (AD 37) around the last years of the reign of Tiberius who a that time already lived at Capri to enjoy his pervert lifestyle. The empire was stretched from England to Africa and from Syria to Spain, its borders calm the vast majority of earth lived under Roman law and paid contribution. But the core was already rotten, the enormous wealth leads to a corrupted and decadent upper class and an alimented and circus entertained Roman underclass (slave work was cheap) and sophistication mixed with brutality terror, tyranny and greed. After Tiberius’ death, the crazy Caligula took over, then the weakling Claudius and then the infamous Nero. Except some bright spots, the situation only became worse in the next 300 years until the empire faltered und the Roman church took over the spoils. Daniels remark: My question is not if early Christians agree the deity(or dual natures) of Jesus of Nazareth, but how do we explain the first Christians movement, if we deny resurrection? Thanks, here is the misunderstanding on my side. As a Christian I would never deny the resurrection as a central message, but my assertion was it was not the only and not the only factor of the church as an organization. Daniels remark: How to explain the first Christians’ movement if we reject resurrection hypothesis. 1) External success factors, the early followers used the globalized infrastructure (streets, common languages Latin and Greek) a revolutionary situation with brilliant apostles, an appeal to women, slaves and other disfranchised which had more clout than the eye met. This, together with learning and taking over a centralized global administration from within was the core reason of establishing a central Roman church organization which exists today. 2) There were however, also unique selling prepositions (USP) of Christianity together with a superior quality of the Christian core teachings of the Apostles (e.g. Gospels). The Christian message is one of hope, but it has been multidimensional to some Jesus was the prophesy fulfillment of the messiah to others the promise of eternal life promised by the resurrection. As the pagan Seneca said: “Show me one being resurrected and I believe in eternal live”. But that was not all, I would agree with Henri Daniel-Rops (The church of apostles and martyrs), even more important was the Pentecostal event and the Sacrament of communion. Also the incredible uniqueness up today of the dual nature of Jesus: he was not man, he was not God but both – a union of two natures as undiminished deity and true human in one person forever, inseparably united God being fully God and man being fully man in ONE person forever. Jesus died as human for us and this gives us eternal life back. The image of a Christian god was one of unconditional love, not the punishing Yahweh or the many polytheistic manmade creatures before. A prior very recently explained me, that the Christian god can be seen more as mother than of a father, which almost annoyed me (my first association was the goodness Kali). But it’s true, that was exactly the reasons for the initial appeal to the powerless. Furthermore the message was refined and blended with Greek philosophy (e.g. the concept of an eternal soul came later and originates entirely on Plato and Plotinus. [H]ear these words: Jesus of Nazareth, a man attested to you by God with mighty works and wonders and signs that God did through him in your midst, as you yourselves know— this Jesus, delivered up according to the definite plan and foreknowledge of God, you crucified and killed by the hands of lawless men. God raised him up, loosing the pangs of death, because it was not possible for him to be held by it. – Lukan Account (Ac 2:22–24 ESV). Question For Christians’ Critics: How do you explain the early Christians’ movement, if we reject resurrection hypothesis?